The aurora has been studied for many hundred years but the detailed physical mechanisms giving rise to its various characteristics are to a large extent still poorly known. The physics of the aurora is basically plasma physics but many branches of physics are involved, such as interaction of energetic particles with matter and electrodynamics. Great progress in the physical understanding has been achieved in the last couple of decades by means of specially designed satellites placed in suitable orbits and provided with high data rates. 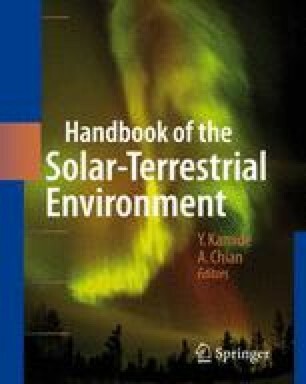 This chapter gives a brief review of what is known about the auroral phenomena. In general, references are given only to the early papers for each specific subject and no completeness has been possible with the limited space available. A rough idea of what the chapter deals with can be obtained from the table of content.